P2P systems are nothing new. In fact, it was the education sector where they were first used and recognized in a basic form. If one looks at the real intent of the internet it was about being a peer-to-peer system. Proof of this was the way that two entities became computing peers that were equal. 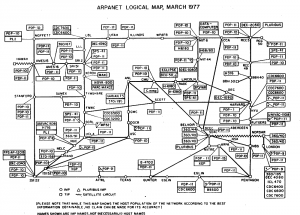 This was done through the ARPANET. The UCLA Stanford Research Institute was connected to the UC Santa Barbara along with the University of Utah. This was not done with a client-server format, but instead with the same architecture used for P2P systems. P2P systems are not the same as minicomputers and mainframes, as the servers were also the clients. Where P2P systems really became popular was when they began to be used for the sharing of music files. All one has to do is look back at Napster to see how music sharing was done. This was in 1999. But one can go back further than this and take a look at the universities of 1979. Doing this will take you back to the birth of Usenet. It was a couple of university graduates that developed Usenet. The purpose was for a way to be able to share information within the Unix community. The developers wanted two Unix machines to be able to connect to each other through dial-up. Then, once they did this, they would do a file exchange, followed by an ability to disconnect. The young graduates were able to accomplish this. Its use was for the purpose of posting news between the two universities that the developers were connected with. It was exciting because it was an easy way for the universities to exchange comments and messages. While this began with two simple sites merely conversing with one other through sharing, it eventually grew into many thousands of sites. Moving forward in time to the peer-to-peer systems that are being used today, the networks have only really been developed to their current level in the last fifteen years. 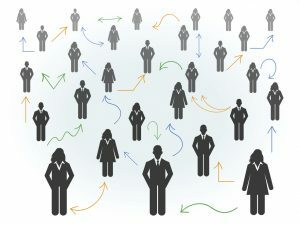 Big companies soon recognized the importance of peer-to-peer systems. This included companies such as Boeing, Amerada Hess, and Intel. Note that all of these companies occupy different industries, yet they each recognized the importance of it. Intel dates back to 1990 in its implementation and using of peer-to-peer systems. These are all big companies, so it is easy to see how P2P systems could be so valuable to them. Aside from convenience and productivity these systems are instrumental in cutting costs down for many of the companies that use them. There is no doubt that technology will be used to expand the use and performance of peer-to-peer systems, so that more and more companies use them in future. What are the Pros and Cons of P2P Systems?